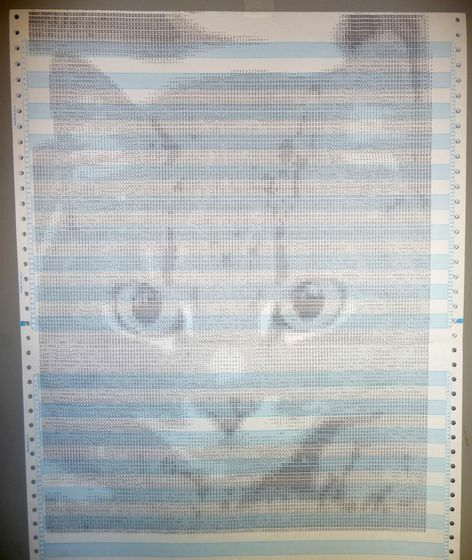 ASCII art cat printed on the LetterPrinter 100 attached to the DECmate III. This one used both different letters and overprinting to get the shades of grey. I put in a new ribbon but it still printed somewhat light. It appears the box of ribbons have dried out. The ASCII art I used was from here.